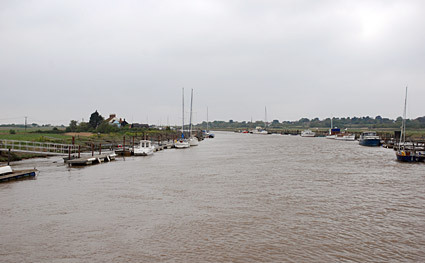 Pedalling up from Southwold Harbour, we crossed the River Blythe over the old Southwold Railway bridge and headed along a lovely country lane into the pretty village of Walberswick (pronounced 'Wall-burrs-wick'). 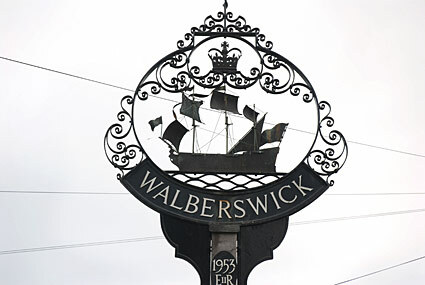 Walberswick takes its name from the Saxon Waldbert or Walhbert (probably a landowner's name) with 'wyc' meaning a shelter or harbour. 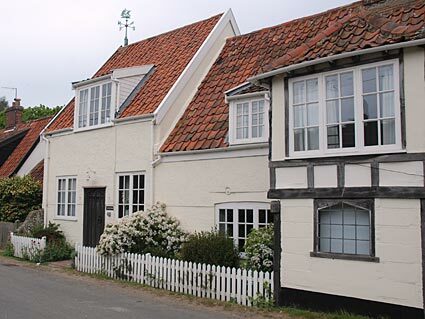 From the 13th century onwards, Walberswick was a thriving port trading in cheese, bacon, corn, timber and fish, but tourism replaced these local industries after World War 1. 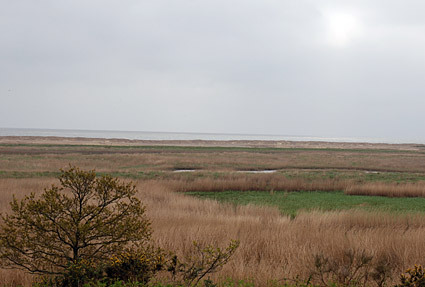 Nearly half of all the properties in the village are now holiday homes. 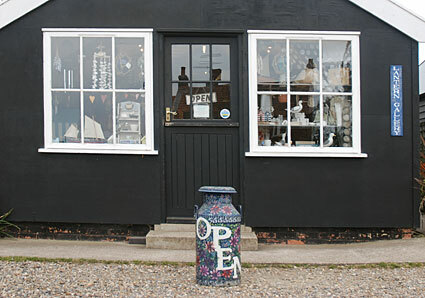 Walberswick hosts the annual British Open Crabbing Championship in August, which raises funds for charities. 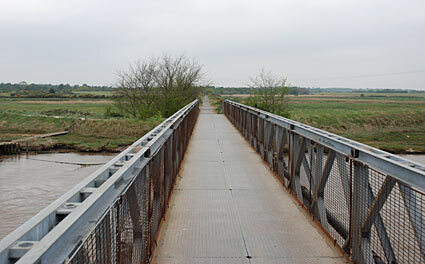 Across the old railway bridge. 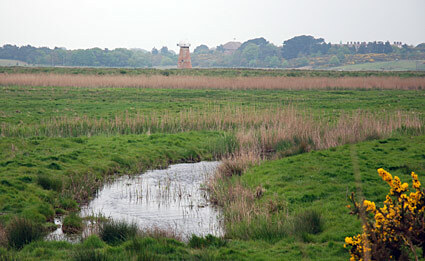 Looking back towards the harbour. 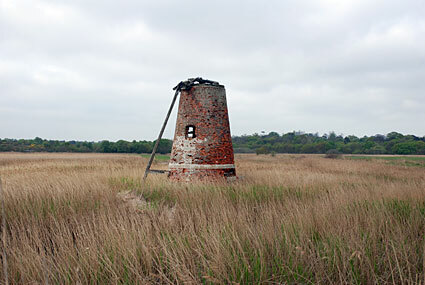 Disused windmill on the marshes. 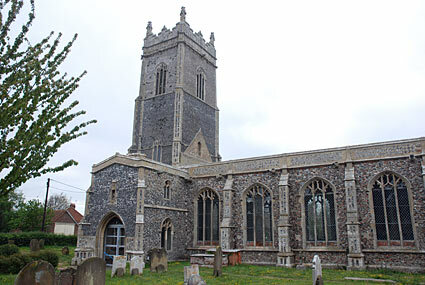 St Andrew's church, Walberswick is unusually built inside the ruins of a far larger 15th century church. Cottage dating back to 1785. 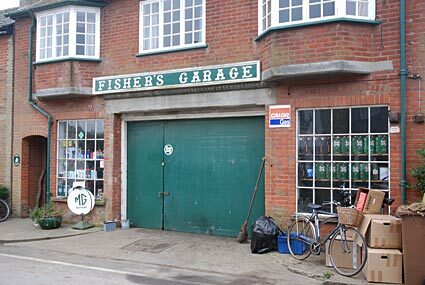 Old fashioned-looking Fisher's Garage in Walberswick village. 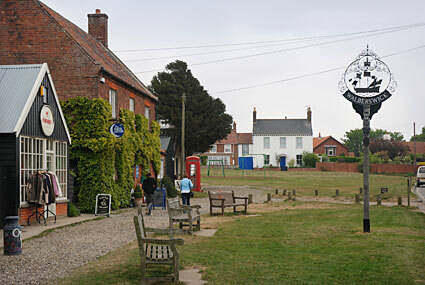 Walberswick village green. We stopped over at the lovely Parish Lantern for tea and coffee. 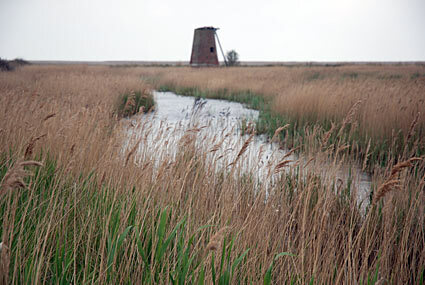 Walkers heading towards one of the many disused windmills in the area. 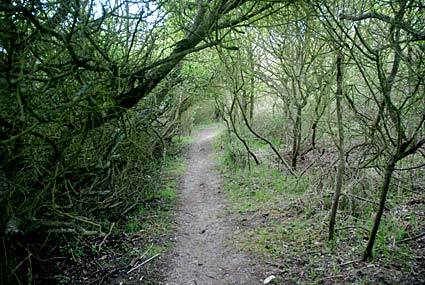 We had to duck low when cycling along this path! 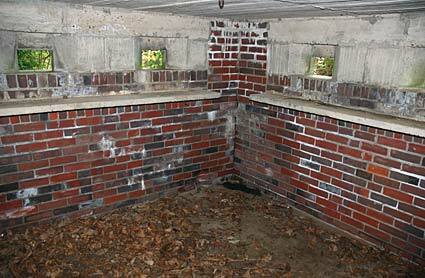 Inside an old WW2 pillbox. 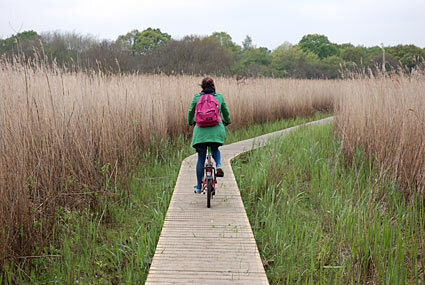 Pedalling (carefully) through the protected marshlands. 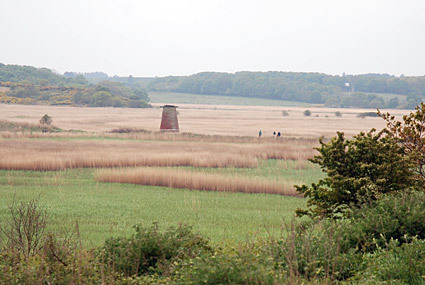 Along the Suffolk Coast and Heaths Path which passes through over a thousand acres of heath and marshland which is protected as an Area of Outstanding National Beauty (AONB). 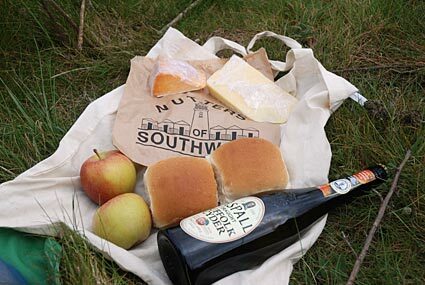 A fine picnic of Southwold fare: bread from the local bakers, cheese from the cheese shop, organic apples and Suffolk cider. Lovely!